Ask fellow campers about "Bucksaw Campground COE" and nearby attractions. It's a beautiful spacious park with a lot of green space to roam, play, etc. with nicely manicured areas. The fire ring should be replaced and was not level for cooking. The very narrow hiking trail was overgrown with poison ivy so we couldn't use it, big disappointment IMO since I camp to get out in nature. We camped at Bucksaw Campground COE in a Fifth Wheel. If you' into hiking go before or after summer months to avoid the poison ivy! This campground is located on Truman Reservoir. It is a bit off the beaten track, especially for those traveling west to east. The north/south route into the area is more traveled and a better road. Clinton is close by; about 20 minutes. There are many campsites ranging from tent sites to water-electric to full hookup. Most of the FHU sites are in Loop C. If you want to be close to the lake, you might opt for electric only or water/electric sites in Loop B. Also several of the tent sites are close to the lake. When you reserve pay attention to site size. Not all sites will accommodate a larger RV. The mixture of hookups is surprising - one side of the road, FHU - the other side, electric only. -Or- the section of FHU sites with just one W/E only pull through in the middle of them. The FHU sites were filled with reserved tags on them all the time we were at Bucksaw, so if you want one of these sites you might want to reserve one and not arrive assuming one will be available to you. This campground is so big that several tenting loops are closed off. Really, I doubt that this place is ever full. 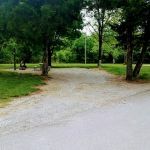 Not only is it a big campground, but it is surrounded by lots of other campgrounds, both public and commercial. The big draw here is, of course, the lake which actually feels more like a river in the vicinity of the campground. In addition to all the fishing and boating opportunities (there's a nearby marina) the campground has a nice swimming beach that, I think, is pretty popular. B Loop is in easy walking distance of the beach and A Loop isn't much farther. C Loop isn't as close but is a walkable distance. One thing you might want to know is that Verizon cell service is poor. I ran my cell booster and managed to get a semi-usable data signal part of the time. Without it there was almost nothing. A lady told me that AT&T was better here. Satellite TV was fairly easy to get but, as it always is with satellite, campsite location does make or break it. We camped at Bucksaw Campground COE in a Fifth Wheel. The Truman Dam Visitors Center in Warsaw is well worth a visit. 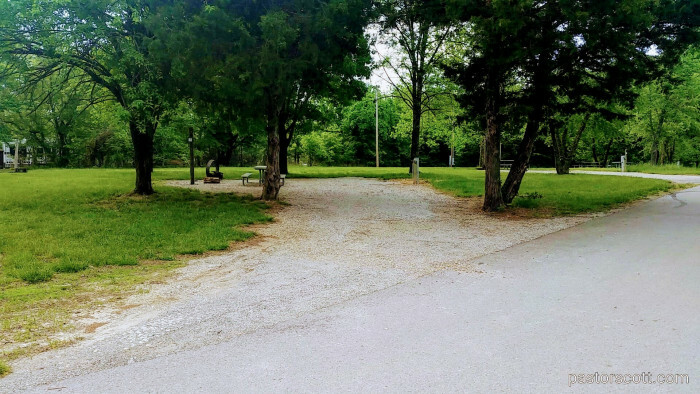 We usually love COE parks, but this one wasn't our favorite. The sites are very large, and we were in one of the FHU sites. There are no signs telling you where the numbered sites are and we headed down the main road and discovered we should've turned left to get to our site. Not knowing the campground, we ended up having to back up as we were on a tent loop that didn't look like it went through. A little signage would be nice. Utilities worked well. The campground appeared to be pretty rundown. Not sure why, but there were a couple of loops that were closed off and no longer being taken care of. That made it look really rundown. All utilities worked well. No AT&T coverage, Verizon very weak. There were tons of trees and hard to get satellite coverage and there was no over the air stations. You can't even see the lake from this campground. We probably wouldn't stay here again. We camped at Bucksaw Campground COE in a Fifth Wheel. Great stay at this campground. We were not right on the water, so had to drive to tent area to put kayaks in. But fished and saw eagles, osprey, and kingfishers fishing--who did better than I did. Great lake, nice site, good accommodations. Easy park. Area C was a good loop and most have sewer-but not all. One section in C was tent only. Some loops closed (maybe for season?). Only some sites in Area A have sewer. B I think have none. Still, great campground. Swimming area with sandy shore (wouldn't call it a beach). We will be back. We camped at Bucksaw Campground COE in a Fifth Wheel. 20 minutes to Clinton for a Walmart. This is an excellent Corps of Engineers campground on Truman Lake. There is a nice beach area for those who like to swim. Boat launching is also nearby. Campground host was friendly and helpful. The park ranger was awesome. I was walking my dog when another dog, which wasn't leashed, started pestering us. His owners were outside, but failed to come and get him. The ranger was on the next loop over, saw that I was having problems getting the dog to go back to its site and came over right away to help me out. By this time, the dog owners finally came and got their dog, but it was the ranger who apologized for the problem, not the owners of the unleashed dog. Sites were large and well-spaced. Grass needed to be cut, but it wasn't so terribly long that it was a problem. Will definitely stay here again if in the area. We camped at Bucksaw Campground COE in a Fifth Wheel. Check in was great. The camp host's at the gate were most helpful in getting us checked in and situated. We used to camp a lot at Long Shoal, but we now have a bigger coach, hence staying at Bucksaw. Was not aware there were a few full hookups available here, so would definitely try to get one of them the next time there. Had great location at site 39. Great satellite reception. Power and water pressure good. Showers close and very clean for COE campground. We camped at Bucksaw Campground COE in a Motorhome. Fisherman's paradise. Close to Marina and restaurant. Very nice park. Gravel pads but well paved roads, well maintained. Quiet and peaceful. We were here early week so very few people here which helped as we booked "Standard Electric" which did not include water. Luckily we were able to transfer to a sight with water and sewer! Would definitely stay here again! 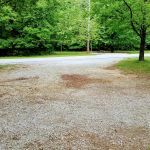 We camped at Bucksaw Campground COE in a Travel Trailer. Another example of a nice COE campground. Only a small section had full hookups, but there were plenty of sites with water and electric. It was a quiet, pleasant 4 night stay. We had a partially shaded site and plenty of areas for walking. We watched a doe and her young twins grazing in the field behind our site. Dumpsters available only at the entrance/exit was inconvenient. We camped at Bucksaw Campground COE in a Fifth Wheel. Bucksaw is a Corps of Engineers Park on Truman Lake. It is fairly remote but there is a marina/boat launch and a restaurant nearby. The sites are nicely spaced and most have trees for shade. 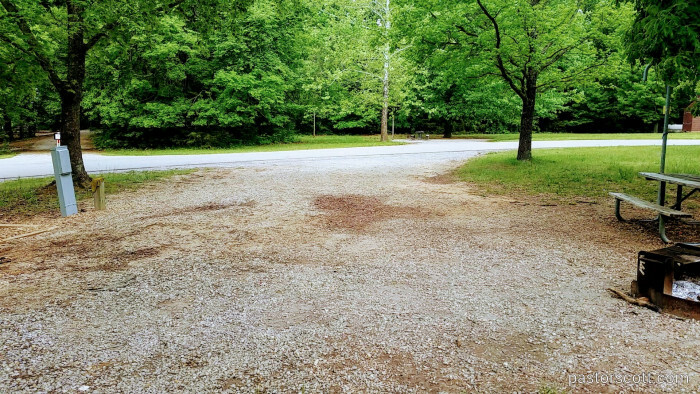 The sites are gravel with a firepit and picnic table. After walking around the park, most of the sites look to be fairly level. There is no Wi-fi and cell service was almost non-existent. Bathrooms are abundant and the bath houses appeared to be very large. Deer are everywhere as are Canadian Geese. Plenty of places to walk the dog. We camped at Bucksaw Campground COE in a Motorhome. Are you affiliated with Bucksaw Campground COE ?